Yucca carnerosana is a large imposing plant with thick white filaments, often mistaken for Yucca faxoniana which mainly grows in Texas and has almost no filaments on the leaves. 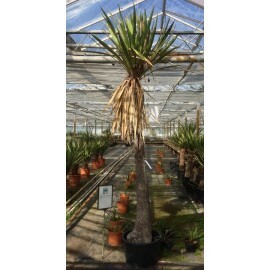 Y.carnerosana can reach up to 4-8 m. The hardiness and difference with yucca faxoniana is significant and for outdoor planting in cold climates we recommend the Yucca faxoniana. 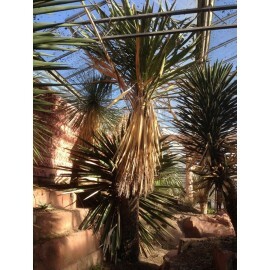 Most distributors of desert Yucca's in Europe sell the cheaper Yucca carnerosana as Yucca faxoniana. Frost resistant till -12°C.